This true life sports drama follows the life of former Syracuse running back Ernie Davis, the first African-American man to win the Heisman Trophy. The 9th annaul Downtown Fall Festival and the 3rd annual Chil Cookoff will take place Saturday, October 11th from 11 a.m. to 3 p.m. on the 200 block of South Allen Street in downtown State College. The festival will feature pony rides, free hayrides, crafts, pumpkin decorating, and a dessert contest. Admission to the festival is free. Visitors to the festival can purchase all-you-can-eat chili wristbands for $8 ($4 for children ages 12 & under). Known for their 1997 pop hit MMMBop, Hanson will perform at the State Theatre. Tickets are $37/adult and $20 for University Park Penn State students. The performance is presented by Penn State's School of Theatre. Previews are October 14th & 15th, tickets are only $10/adult and $8.50 for students for both Previews. The first regular performance will be October 16th, tickets are $14/adult. The Boalsburg Bicentenary Ball will take place in the Boal Mansion, Saturday, October 11th at 7:30 p.m. to celebrate Boalsburg's 200th birthday. Eighth and ninth generation members of the historical Boal family will be at the ball to greet guests. A television will be set-up in the library for football fans wanting to watch the Penn State & Wisconsin game. Tickets to the formal ball are $75/person and will benefit the historic preservation of Boalsburg and 200th birthday activities. The ball is open to the public. For more information about the evening, visit the Boal Mansion's website. The movie The Express premieres this week. Which year did Ernie Davis win the Heisman Trophy? looking for a cheap carseat for like a 1 year old. 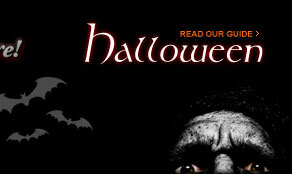 Visit StateCollege.com's Halloween Guide to see local trick-or-treat schedules and a listing of fall/Halloween activities in and around Centre County. 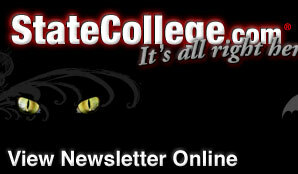 StateCollege.com has 200,000 unique readers each month. Our Weekly Community Guide E-mail Newsletter goes out to over 36,800 opt-in subscribers each week! Find out how your business can reach this audience.